Great news for music lovers of the 2000's! 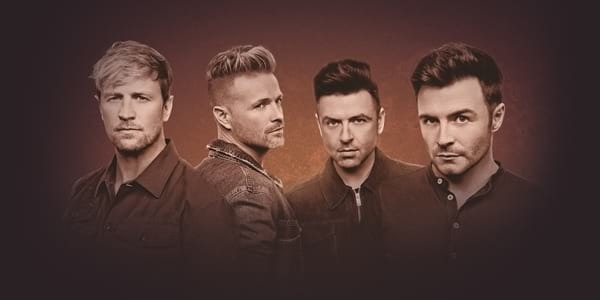 Celebrating their 20th anniversary, the Irish pop group Westlife is bringing The Twenty Tour to Asia and we're going to see them here in Manila! Happening at the Araneta Coliseum on July 30, the show will feature the pop legends reuniting to perform all 14 of their UK No. 1 hits. Get that early 2000's vibe all over again with the songs like ‘Swear It Again’, ‘Flying Without Wings’, ‘If I Let You Go’, ‘My Love’, ‘Uptown Girl’, ‘A World Of Our Own’, ‘Unbreakable’, ‘Mandy’, and ‘You Raised Me Up’. 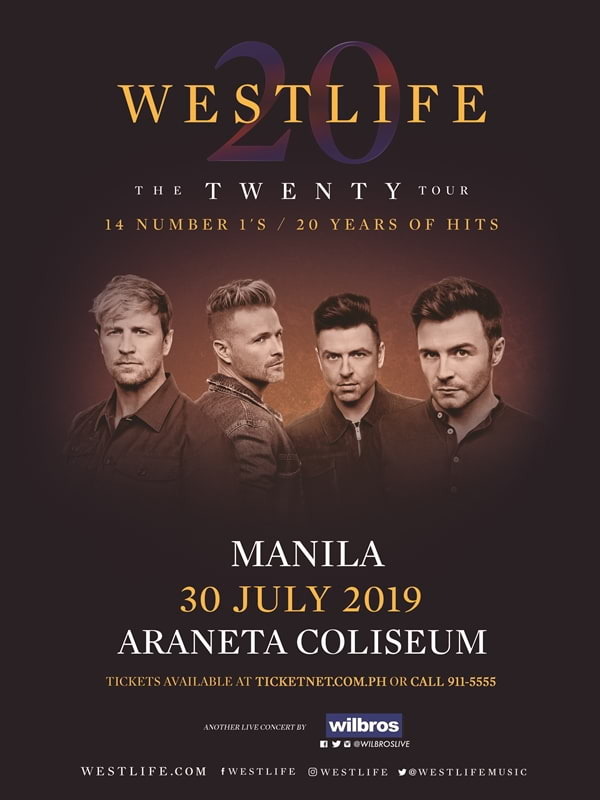 Westlife's fastest selling tour of all time, The Twenty Tour sold 400,000 tickets in just 48 hours, so be quick to grab yours for their Manila performance when it goes on-sale beginning on March 30 at all TicketNet outlets nationwide. This show is presented to you by Wilbros Live. You can visit their Facebook and Twitter accounts for more details. You can also get your tickets online via TicketNet.